When we say all vehicle types, we really mean it. Land Rover and Subaru owners have received full service and repairs to industry leading standards wherever the work needed to be done, when they needed us to be there. Happy clients in Eastern Melbourne who have already experienced the ease and convenience of on site vehicle repair and service work have given us over 34 positive reviews. These are just some of the reasons why we have maintained our excellent service history and kept our customers. 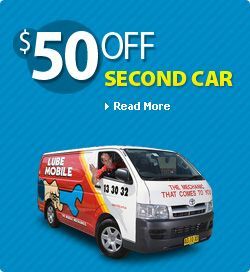 Receive a high quality service on your vehicle at the time and place that suits you with on of the 39 Lubemobile mechanics in Eastern Melbourne. As fully prepared and experienced motor specialists, our mechanics arrive at your preferred location with what they need to service your vehicle, no matter what the make and model. In your area our mechanics have commonly serviced Holden, Toyota and Ford. Servicing all vehicle types on site, our most recent services in your area have included Chrysler, Saab and Nissan. Any and all parts required for your vehicle are sourced quickly, our mechanics choosing only the best part available at the highest quality like automatic transmission, clutch and drive shaft. Lubemobile mechanics are available wherever you are like in Avonsleigh. We attend to your vehicle wherever it is which includes anywhere from Ferntree Gully, Templestowe and Officer, and anywhere in between. We are Australia’s #1 mobile mechanic fleet attending to you when you need us. You can get your car serviced on holiday. Have the tyres replaced or rotated at work. 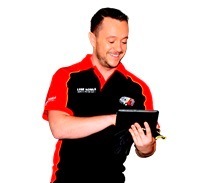 Our mechanics have serviced over 1,046 vehicles in your area over the past 3 months alone. Have a Log book servicing completed entirely on site at your home address. Or our mechanic specialists can travel fully equipped to wherever you specify to carry out work including 3 year service and finding fuel blockages.